Barcelona have a real headache on their hands after it was confirmed that defender Samuel Umtiti faces a lengthy spell on the sidelines. The Frenchman sustained a serious hamstring injury in the draw with Celta Vigo at the weekend, and it has been suggested by the Catalan giants that he could be sidelined for up to eight weeks, as per the tweet below. That’s a huge blow in itself losing a key figure to injury, but given the lack of quality and depth that Ernesto Valverde has at his disposal in that department, it will be a major concern for Barcelona moving forward. Thomas Vermaelen and Javier Mascherano remain the alternatives, and it’s the latter that Lionel Messi wants to see fill the void until the end of the season, as per Don Balon, as re-reported by The Express. It’s claimed that the Argentine international has made it clear that his compatriot is more than capable of stepping in between now and the end of the season and that there is no need to address the problem in January. Given that he turns 34 next year, the versatile veteran is certainly not a long-term solution, but perhaps Messi has a point in that he can do a job for the next few months to then allow Barcelona to seriously evaluate their options in the summer transfer market rather than rush a signing next month. As noted by Sport, Valverde seems to be convinced that the stalwart still has a role to play despite speculation linking him with an exit, and so it looks as though Messi may well get his way. 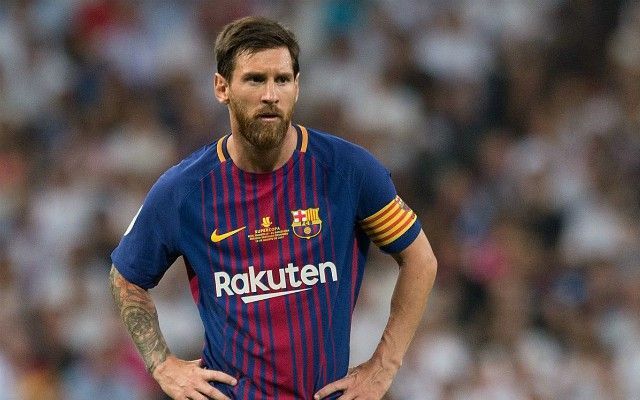 Whether or not it’s a positive thing that he possibly has a voice in such matters is up for debate, but with Barca dropping points in consecutive La Liga games, they’ll be wary of their poor form dragging on as they still remain five points clear at the top of the table and so that has to be the main focus.